Mesmerizing turquoise waters bordered with silky white sand and coconut trees is not an image normally associated with Myanmar, but this is exactly what visitors are greeted with at Ngapali Beach. This beautiful beach paradise is located in Rakhine State on the western coast of Myanmar and is nothing but stunning. Ngapali Beach is the place for wealthy tourists and locals to relax and enjoy beach life. Reported to be the most beautiful beach in all of Myanmar, visitors are met by wonderful views across the Indian Ocean in the Bay of Bengal; turquoise water lapping at the soft white sand, thatched huts dotting the beach, fisherman hauling in the catch of the day, an ox-cart may pass by on its way to somewhere else or the rich orange sunset over the ocean. It is romantic, enticing, isolated and relaxing. 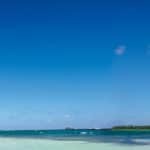 Snorkeling, cycling, kayaking and golf are popular activities for those who have been able to pull themselves away from the beach, and visitors may also enjoy a boat trip out to some of the local islands. The dining options in Ngapali Beach offer some unbeaten seafood options, western food, and of course delicious local fare. However, the accommodation options in Ngapali beach are limited to primarily high-end resorts and hotels with very few options for the budget traveler. 10 km north of Ngapali Beach is Thandwe, which has little to offer tourists other than some markets, a few hillside pagodas and of course the airport. Visit Ngapali Beach Myanmar for a wonderful beach vacation. 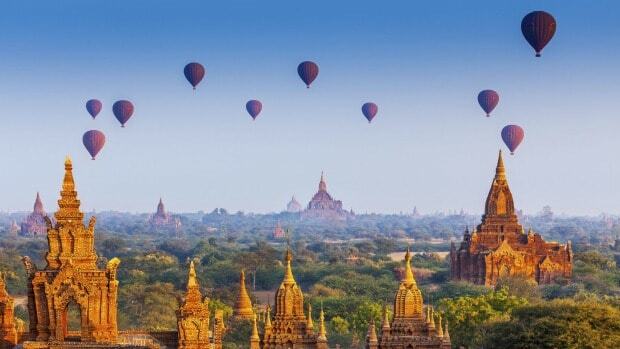 Although it is a year-round destination, the best time to vacation in Myanmar is from October to February when the temperatures are more moderate and there is little or no rain. Myanmar can become extremely busy during this time, so plan your visit well in advance. Visiting Myanmar during the hot or wet season has the benefit of fewer tourists and therefore lower prices. The wet season brings brief but heavy showers, mainly in the afternoon, which brings the lush landscapes to life. It is warm and dry by day, with average highs hovering around 86°F. This is perfect weather to visit temples, and to see amazing sunrises and sunsets. You can do cool stuff in this cool season with access to all key places. Beaches at Ngapali are open to the public and the hot-air-balloon ride over the Bagan temple plains is available. The fast-flowing Irrawaddy River has busy cruises. 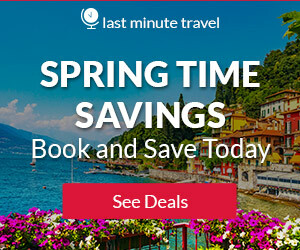 This is the peak travel season, so always book the flights and accommodations as early as possible, at least 3 months in advance. Because of the limited seats, it is wise to book the hot-air-balloon ride 6 months in advance. At night the temperatures may drop to 59°F, so take along some warmer clothes. With overland border crossings close to impossible for independent travelers, almost everyone arrives in Myanmar at either Yangon or Mandalay airports. There is also an international airport in the capital Nay Pyi Taw, although few airlines use it at present. The international flag carrier, Myanmar Airways International, only serves destinations within Asia. The cheapest way to reach Myanmar from outside the region is usually to fly to a regional hub such as Bangkok or Singapore. Current routes within Asia include flights to Yangon from Phnom Penh, Siem Reap, Kuala Lumpur, Singapore and Bangkok. Connections with Mandalay are limited to Dehong, Kunming and Bangkok. Airlines offer discounted tickets online depending on how far in advance you book. Good deals are often available from Bangkok, Kuala Lumpur and Singapore on budget airlines such as AirAsia and Silk Air. Everyone requires a visa. Single-entry tourist visas last 28 days. If you have your visa ready and a valid passport with at least six months of validity from the time of entry in hand, you should have no trouble entering Myanmar either by air or land. There is no requirement for you to show an onward ticket out of the country in order to enter Myanmar. For most people, the main ways to get around Myanmar are by air and bus; you can of course mix different modes of transport during your travels according to the individual journey you are taking. Which you choose will very much depend on your budget and itinerary; buses are the cheapest form of transport and some destinations can only be reached by air, for example. For more romantic and scenic ways to travel in Myanmar, look no further than trains and boats. Invariably, if you take public transport options (as opposed to luxury boat cruises), these are both slow and unreliable; but they give you a leisurely, fascinating, and often beautiful view of the country, allowing you to mix with locals while travelling, in a way that is not possible otherwise. Taxis come in a variety of different forms and are inexpensive and plentiful pretty much everywhere in Myanmar. Hire cars with driver can be the most convenient way to get between certain destinations, and car rental is also possible through Yoma Fleet. The relaxing hill stations of Kalaw, Pindaya and Hsipaw are famed for the walks you can take in the surrounding Shan hills, with beautiful views and chances to take in tribal village life. 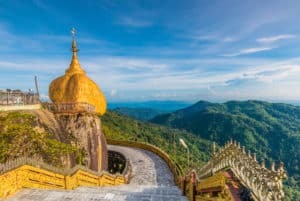 In the south of the country, you can hike up the sacred and monolithic Mount Zwegabin and, further off the beaten track, Mount Victoria in southern Chin State offers numerous longer-distance hiking opportunities, as well as culture and scenery that are entirely different to the rest of Myanmar. There are numerous cycling possibilities in Myanmar, particularly around localities such as Bagan and Inle Lake – and dedicated cyclists are allowed to take their own bikes to the country over land, either on your own or as part of an organised cycling tour. For serious touring cyclists, exploring Myanmar by bicycle is certainly possible, but if you are not on an organized tour, caution is urged. If you take your own bike, spare parts are unlikely to be available (although locals will usually do their best to help), and you should not stray from the main travel areas. There are checkpoints on many roads, and sometimes you will be required to have a photocopy of your passport photo page and visa. Although Myanmar is opening up fast, special permits are still required to enter some parts of the country. In most parts of the country motorbikes are simple and cheap to rent. Most large- and medium-sized towns (and all major tourist spots, other than Bagan) offer motorbike for rent. It is usually the easiesst to ask at your hotel or guest house for more information on renting a motorbike. Safety helmets are sometimes (but not always) provided and gas can be bought at regular filling stations or at roadside stalls selling one-liter bottles, which is a common practice in the countryside. Here you will find gas is usually provided in old whisky bottles! One of the Asia’s largest and most spectacular ancient monuments is a wonderful Pagoda named Kakku. It contains over 2.000 stupas with origins dating back many centuries. Its exists not only as an outstanding example of tradition art and architecture but also as a testament to the religious devotion of one of Myanmar’s many ethnic minorities. the Pa-Oh. For many centuries. the Pa-Oh has lived in peace. cultivating their land and devoting much of their energy and limited wealth to creating monasteries and pagodas. 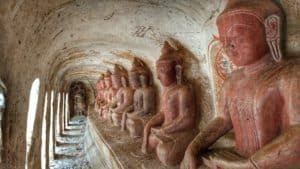 More than 900 man-made caves with perhaps the best preserved 14th – 18th century Buddhist mural paintings in the world are found here at Po Win Daung, some 20 miles of rough road from the Chindwin River town of Monywa, in Sagaing Division, Myanmar. This is believed the largest and most diverse collection of Buddhist figures and murals in southeast Asia. The paintings, called jataka, tell legendary stories from the lives of the Buddhas. See rows of golden Buddha statues at Shwe Oo Min Paya, a natural limestone cave so well-proportioned that it look as though it was carefully engineered. Walk along the tunnels to see various Buddha images and statues in the cave, which has special religious significance. Some locals meditate inside the cave, and you can join them if you feel in the mood. Take the stairs to the top of the area, where you can enjoy views of more shrines in the region. 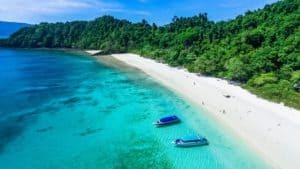 With it’s pristine, palm tree lined white sand, the clear waters of the Bay of Bengal, has a justified reputation as Myanmar’s premier beach getaway. Ngapali beach maintains a laid-back fishing village vibe, as evidenced by the small boats that head out nightly to catch the bounty that is served up to visitors just hours later. The locals remain smiley, and despite the increasing number of hotels, the 15 miles of coast here means there’s still a lot of space on the beach. Kyaiktiyo Pagoda (known also as the ‘Golden Rock’) is a Buddhist pilgrimage site located in the Mon State, an administrative region in the southern part of Myanmar / Burma. The site consists of a small pagoda resting on top of a giant granite boulder which is covered with gold leaves. 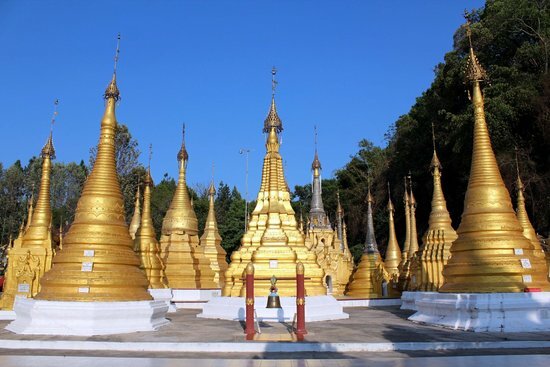 Kyaiktiyo Pagoda is considered to be one of the three most important Buddhist sites in Myanmar / Burma, along with the Shwedagon Pagoda in Yangon, and the Mahamuni Buddhist Temple in Mandalay. Fly with Oriental Ballooning, the premier, boutique balloon rides company in Myanmar. Float with us over the beautiful hills and valleys of the Rakhine State, with breath-taking views of the crystal-clear waters of the Bay of Bengal! 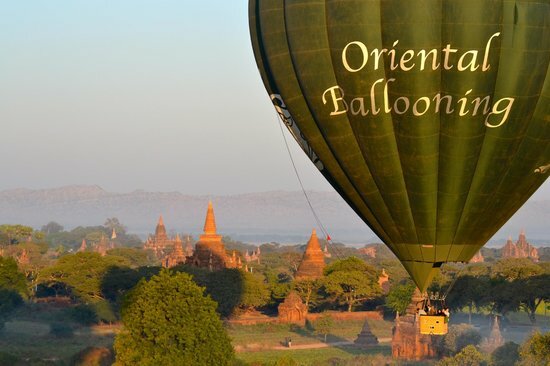 For more information call +95 43 42 166, or visit them on the web at Oriental Ballooning Ngapali. Friends Forever – Snorkeling & Boat Trip is a small local family business. Running with two long-tail boats which run by a local family. For more information call +95 9 42176 2474, or visit them on the web at Friends Forever – Snorkeling & Boat Trips. Flights and Express ticketing sales agent. 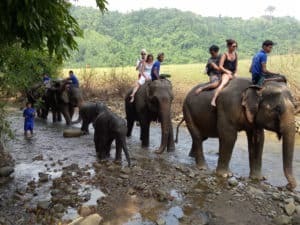 Manage the tours and sightseeing as Elephant Trip, City Tours, Sightseeing Trip,Day Trip, Half day trip, Boat trip for Snorkeling & Fishing,Guide service for G.I.T or F.I.T,Biking trip,River cruising trip and others activities are possible and Information Center. For more information call +95 9 42173 0810, or visit them on the web at Yin Min Htike Tour Operation & Information Center. They provide a Private Biking Tour so you can see the fishemans lifestyle and how they live at the village. The experience of biking through Villages, learning their cultures, and natural views along the way are considered a once in a life time experience. They also offer a 3-hour mountain bike trekking tour. For more information call +95 9 250 829 399, or visit them on the web at Ngapali Trekking. 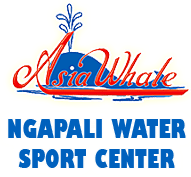 Asia Whale Travel & Tours is a local company which has been specializing in Diving, Snorkeling and Kayak trips in the Mergui Archipelago since 2004. 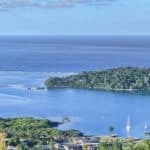 Their boat, the Ngapali Pricess, will do day trips for snorkelers, divers and special trips for sport fishing as well as dedicated kayak trips. Capacity of 50 passengers. For more information call +95 9 495 77070, or visit them on the web at Ngapali Water Sports Center. The Sea Queen is one of the best restaurants on Ngapali Beach with fresh and well presented seafood cuisines. Besides main courses, the restaurant offers free desserts. From Sea Queen , the travelers have a beautiful view of the beach through the palm trees. For more information call +95 9 253 674 859, or visit them on the web at Sea Queen. The Green Umbrella is known as a lovely small restaurant on the beach. The restaurant offers super-fresh seafood and curries. All are very delicious and served by nice and friendly staff. For more information call +95 9 42175 3814, or visit them on TripAdvisor at The Green Umbrella. The tourists who want to try Asian or Burmese food taste can go to Ngapali Kitchen. The restaurant serves the guests with affordable prices. The staffs are friendly, polity and they are always ready to explain the foods for any guests’ concerns. For more information call +95 9 42173 0349, or visit them on TripAdvisor at Ngapali Kitchen. One of special things of Pleasant View Islet Restaurant is its location; from Pleasant View Islet Restaurant, the traveler scan gaze with a stunning view the beautiful Ngapali Beach, especially, at the picturesque sunset moment. It is enjoyable to try shrimp tempura or seafood coconut curry at this restaurant. For more information call +95 9 44411 2207, or visit them on the web at Pleasant View Islet Restaurant. Min Thu – Traditional Seafood Restaurant serves the tourists fresh and great dishes with Seafood, Asian, Burmese cuisines. Everything is so fresh and prepared instantly for each order. There are many nice foods here as prawns salad, avocado salad, sashimi, sweet and sour sea food curry and raw vegetable fried, local fish and so on. It is advisable to reserve by phone before going to the restaurant. For more information call +95 9 250 604 859, or visit them on TripAdvisor at Min Thu – Traditional Seafood Restaurant. Nestled on the most beautiful beach in Myanmar, 45 minutes away from bustling city of Yangon by air and 5 minutes’ drive from Sandoway Airport. Amazing Ngapali Resort is ultimate hedonistic resort that redefines escapism in its beauty, luxury and conception. The view from the lobby takes in the gentle waves and allowing its guests an exhilarating feeling of spaciousness and an affinity with the natural surroundings, lushly landscaped gardens and pool. The beauty and simplicity of the traditional architecture of the buildings are striking, there can be no finer place to discover paradise. For more information, pricing, or to reserve your room, visit the Amazing Ngapali Resort. Set on scenic Ngapali Beach along the Bay of Bengal, this refined, tropical resort is 5 km from golfing at Ngapali Golf Course and 7 km from Thandwe Airport. Polished, modern rooms offer flat-screen TVs, minibars, and tea and coffee making facilities, as well as balconies. There are thatched-roof bungalows set in a garden; some with extra beds. Upgraded beachfront bungalows have living areas. Chic suites have 2-bedrooms, living rooms and balconies, and 1 comes with a private courtyard. Free perks include parking, and breakfast served in a refined, open-air restaurant, next to an outdoor pool or at a beachfront terrace bar. There’s also a spa. For more information, pricing, or to reserve you room, visit Bayview Beach Resort. The resort is a masterpiece of Myanmar art and culture. Decorated by Interior Designer, U Kyaw Sein and designed by British Architect, David Wordsworth, our thatched roof, high-ceiling Villas are crafted with local white marble, teak wood and sandstone from Yesagyo, Pakkoku District in central Myanmar. They offer a wide range of activities and adventures, including private boat trips to Pearl Island, snorkeling, e-bicycle rentals for exploring nearby villages, a excursions to Kin Pun Chone Village where the Elephant camp is located, visits to local art galleries and Thandwe Market or just spend the day sunbathing on your private lounge with beach side service from Tamarind Restaurant. Our Executive Chef will tempt your taste buds with traditional Rakhine fare. The a la carte menu provides seasonal local produce and seafood with a fusion of Myanmar dishes with Western cuisine. Be sure to enjoy our unique wine collection from around the World, or try one of our handcrafted cocktails as you marvel the magnificent beachfront sunset. For more information, pricing, or to reserve your room, visit Ngapali Bay Villas & Spa. Amata Ngapali Beach Resort, stretches along shoreline of Ngapali Beach Myanmar. Myanmar most exclusive Ngapali Beach resort hotel stretches along the beautiful shoreline of Ngapali, which is a very pleasant beach resort natural and unspoiled – a place for peace and tranquility. Ngapali Beach is one of the famous land for resort & The Amata Resort is a one of its kind resort located near the delightful Mya Pyin Village at Ngapali Beach, Myanmar. For more information, pricing, or to reserve your room, visit Amata Resort & Spa, Ngapali Beach. Minutes from the airport and centered around serene gardens and lagoons, Hilton Ngapali Resort & Spa is famous for its stunning Indian ocean views and unique gardens. Each room, suite and villa features a private balcony or terrace overlooking the ocean or the lagoon. Ocean view villas feature a private pool. Hilton Ngapali is a winner of two prestigious awards from World Luxury Hotels Awards: Luxury Spa Resort 2017 and Luxury Ocean View Resort 2017. For more information, pricing, or to reserve your room, visit Hilton Ngapali Resort & Spa. Such a lovely destination. Makes me want to be there already. So glad to find all this easy-to-read information in one place. It is a wonderful beach destination Tina. I know it would not disappoint and you would have a wonderful time. 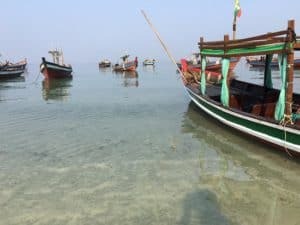 Thanks for stopping by and reading about Ngapali Beach Myanmar. I love this so much! All the details you share are perfect for someone like me who loves to travel but doesn’t exactly love to wing it without some form of a plan/knowledge of things to do and places to visit! Ok Hannah, you will have a dream vacation here in Ngapali Beach Myanmar! It is a wonderful beach destination for sure. Thank you so much for stopping by and taking the time to leave comments. Wow! What an exceptionally gorgeous beach! Watching the video, I can picture myself walking on the shore and taking in that clean, crystal blue water. I have a friend, and her husband is going to be living in Myanmar for six months, so I am going to be forwarding this information to her. I think it should come in handy if he is stationed anywhere near here. Thank you! It is a gorgeous beach Colleen! Ngapali Beach is one of the top 10 beaches in the world, so I suppose it would be beautiful. How lucky to be able to live in Myanmar for 6 months! Sounds wonderful! Looks like heaven on earth to me. Wow. I live where the winters are harsh so October to March is pretty cold around here. I will have to figure out how to swing this! A person can dream, right? 🙂 What a wonderful post, I really enjoyed it! Thanks Donna and yes, a person can dream! And….dreams come true! Glad you enjoyed reading! I could sure use a vacation. Lots of great suggestions and inspiration here. Will definitely have to keep in mind Geor the next time I travel! Ok, Freya! You will love Ngapali Beach Myanmar! Thanks for stopping by! 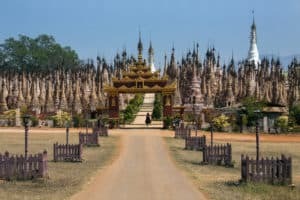 I’ve heard so many amazing things about Myanmar! It looks like absolute paradise. Thanks for the insight! What a beautiful site!! Living in Florida, I really do appreciate this and gives me a goal to go to as many beaches from the categories as possible. I have this tagged as a “Favorite”! Great Rick! I am a fellow Floridian as well, and I do love the beach. I guess that is why I live where I do 🙂 Thanks for stopping by and visiting Ngapali Beach Myanmar, a breathtakingly beautiful beach destination. You did a great job with this site. You’ve thought of everything to put on here – air travel, resort/hotel, things to do. I find this to be very resourceful. Just curious – would you ever recommend Airbnb accommodations for people arriving at your site looking for an even more economical place to stay? Yes, I do have some more economical hotel choices in areas that are more economical to begin with. Some destinations, such as this one, are world renowned, and not known for being an economical beach destination. Thanks for stopping by and taking the time to leave me some comments. You would not be disappointed. Some claim this to be the most beautiful beach in the world. Takes a little getting there but so worth it. I know some who visit every year. Must be nice! Thanks for stopping by and reading about Ngapali Beach Myanmar. Thank you Maryann for visiting Ngapali Beach Myanmar and taking the time to comment on my post. 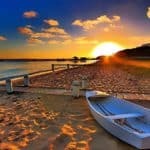 Yes, unusual and beautiful beach destination! What an incredible place Myanmar is! I believe it used to be called Burma. I would love to go hiking there and visit the caves and beaches. This world of ours sure is a diverse place with such a variety of cultures and experiences. I agree Robert! And yes, it did used to be called Burma. I love this kind of place. So many fascinating things to see and do, which makes it so interesting. To have the gorgeous beaches, and then all the rest. Can’t be beat! Thanks for visiting Ngapali Beach Myanmar. Ngapali Beach Myanmar sounds like a nice spot to go if you are in need of a new challenge. But what prevents me from being more interested is the high-end resorts and the lack of much else to do. I saw in a previous comment you mentioned balloons but those are everywhere and not exclusive to any one country. You also mention the pagodas but there seem to be thousands of them scattered all around and unused, while that is interesting I find it kind of disappointing. Wouldn’t it be more fun to observe them being used? That is true Eric! But, I love this destination. You have world class beaches, caves, history, and everything that is beautiful in Myanmar. I guess it really depends on what you enjoy for a vacation. Thanks for visiting and reading ab out Ngapali Beach Myanmar. What a beautiful beach. It seems that the only problem is getting there. Limited access by the airlines and you have to connect someplace else just to be able to arrive at their airport. But once there the beach is breath taking. The air balloon ride is very attractive. I have always wanted to take an air balloon ride. Looks so breathtakingly beautiful. 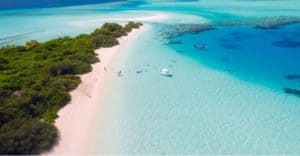 I agree, it is a destination that does take a few connections, but so worth it Mick! Thanks for stopping by and reading about Ngapali Beach Myanmar. Undoubtedly one of the best websites I have came across on WA, I absolutely love to travel especially to places that aren’t on the average tourists destination, however I have never even thought about Myanmar, until now! 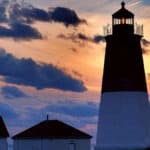 It looks like a beautiful place to visit and reading this very informative and well structured article I am definitely one step closer to considering a visit sometime! Great Jack! 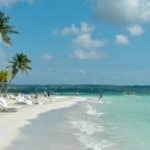 I am glad you enjoy Beach Travel Destinations! Ngapali Beach Myanmar is a wonderful and breath taking beach destination with so much to offer besides just lying around at the beach. Thanks for reading!